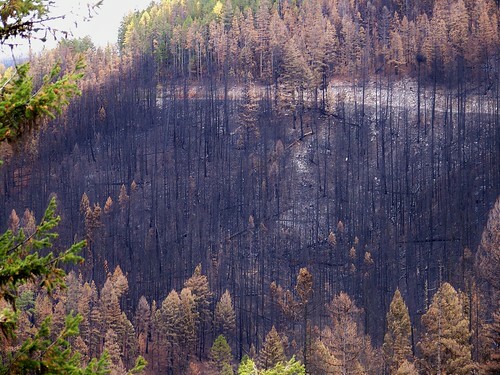 One week ago the last of the access roads into the area of the Chippy Creek fire were re-opened and so yesterday I was able to make my first brief visit into one small part of the burned area near Thompson Peak for a few photos. 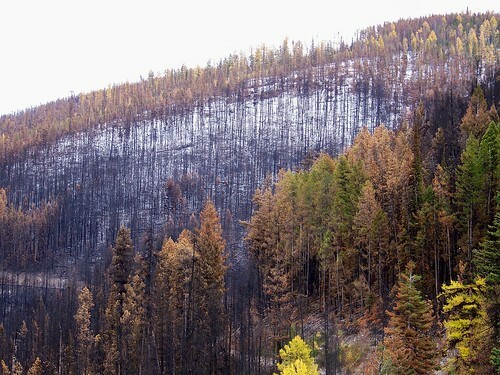 Following are a few scenes of the southwest slope of Thompson Peak photographed yesterday, showing where all that smoke came from. 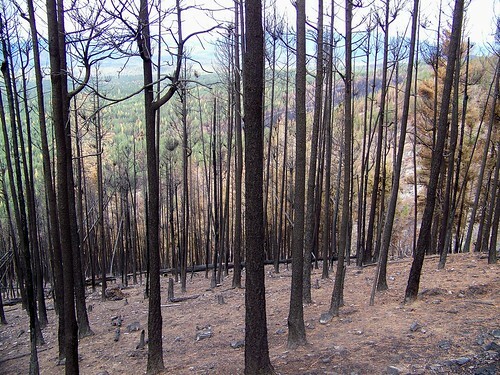 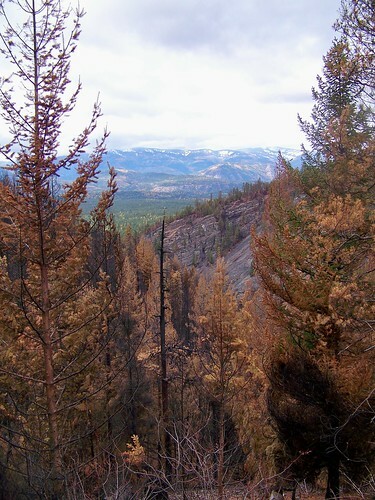 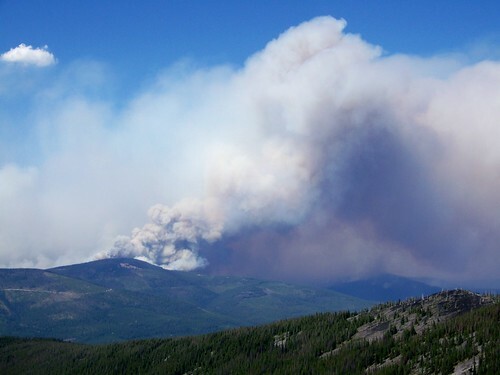 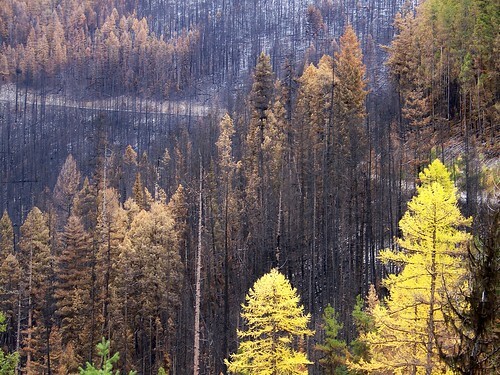 As with any large forest fire, there are areas within its borders where the vegetation was totally consumed, other areas where the flames swept through too rapidly to burn everything but hot enough to kill the trees, and a few small areas which escaped with only minor damage.